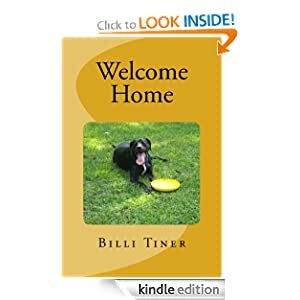 Welcome Home is the story of Jake, a black Labrador Retriever mix. For as long as Jake can remember, he has been having the same dream. In his dream, he lives with a wonderful man in a beautiful home. He has never seen the face of the man in the dream, but he knows his voice and is certain that they are meant to be together. When the day comes for Jake to be given away to his new home, he believes that he will finally get to meet the man from his dreams. However, when he is chosen, it is definitely not by the man from his dream! He is taken to a home where he is terribly mistreated. After suffering years of abuse, Jake finally escapes and is able to begin the search for the man he has been dreaming of his entire life. Along the way, Jake meets some interesting characters, survives amazing adventures, and forms life-long friendships. Join Jake on his incredible journey home.